Alcatraz Island is located in the San Francisco Bay, 1.5 miles (2.4 km) offshore from San Francisco, California, United States. Often referred to as “The Rock,” the small island was developed with facilities for a lighthouse, a military fortification, a military prison (1868), and a federal prison from 1933 until 1963. Beginning in November 1969, the island was occupied for more than 19 months by a group of Aboriginal Peoples from San Francisco who were part of a wave of Native activism across the nation with public protests through the 1970s. 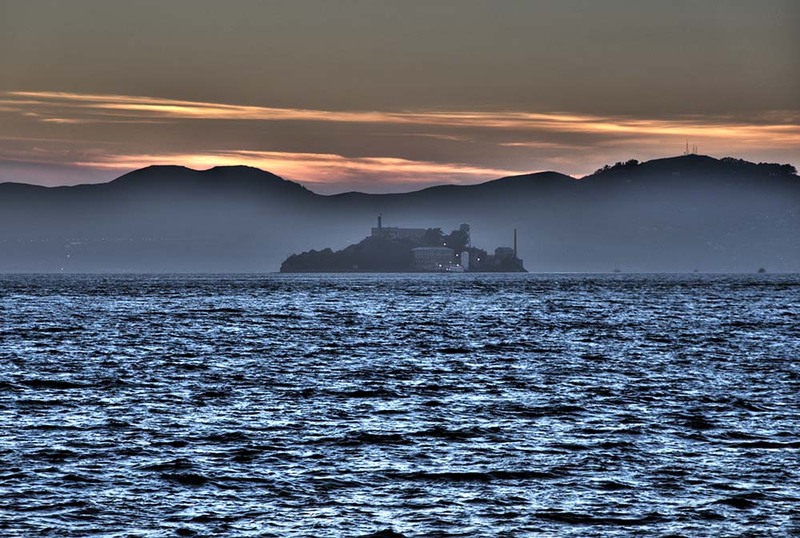 In 1972 Alcatraz became a national recreation area and received designation as a National Historic Landmark in 1986. Today, the island’s facilities are managed by the National Park Service as part of the Golden Gate National Recreation Area; it is open to tours. Visitors can reach the island by ferry ride from Pier 33, near Fisherman’s Wharf, San Francisco.Hornblower Cruises and Events, operating under the name Alcatraz Cruises, is the official ferry provider to and from the island. Hornblower launched the nation’s first hybrid propulsion ferry in 2008, the Hornblower Hybrid, which now serves the island, docking at the Alcatraz Wharf. Landmarks on the island include the Main Cellhouse, Dining Hall, Library, Lighthouse, the ruins of the Warden’s House andOfficers Club, Parade Grounds, Building 64, Water Tower, New Industries Building, Model Industries Building, and theRecreation Yard.